The Airlines in the US continue to grow at an incredible pace along with the equally impressive profits the airlines are reporting. The USA Today is reporting that a new record will be set with nearly 151 million passengers flying to their destinations during the period between March 1st and April 30th of 2018 alone. 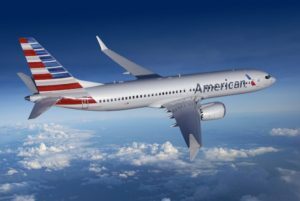 The 4% year-over-year gain in travelers during March and April comes on top of a record number of travelers for all of 2017, according to Airlines for America, a trade group representing most of the largest carriers. The average 2.47 million daily passengers means about 94,000 more passengers will be flying each day as compared to same period a year ago, according to the airline group. Airlines are responding to the increased demand by adding more flights and bigger planes on existing routes. That, the group says, will add an average of 114,000 seats each day. American Airlines CEO Doug Parker argued at the U.S. Chamber of Commerce’s Aviation Summit this month that the industry had been transformed to reliable profitability rather than just the beneficiary of lower fuel prices. “We had a business in the past that was struggling to be a real business,” Parker said. Well trained pilots are in high demand in the US as a result of this steady expansion by the airlines. This fact creates even more opportunity to become an airline pilot and thousands are taking advantage of that opportunity. The largest and most successful flight training organization in the United States is focused on training the next generations of airline pilots, as we have done for over thirty years. Join the new airline pilots at ATP who are quickly completing flight training and entering airline cockpits across the US. There they will be flying for thriving airlines and flying the most technologically advanced aircraft in the world. A career in aviation begins at ATP.